I pulled my hands back and let him toddle around on his own. I let go of his hand, watched as he looked both ways, and let him cross the street all by himself. I took the training wheels off—sure it was too soon—and let him endure a few scrapes, but he rode like a big boy. I handed him the keys and prayed; he and the car came back in one piece. This mom has experienced those stages over and over again—hold on, grow up, let go a bit…and finally, I learned a few things, but not without some heartache and lots of prayer. When our boys start to grow, things get complicated. We’re anxious for them to grow and learn and branch out, but for me, fear loomed large. I thought of all that could happen and, for some reason, I thought I could prevent it. My problem wasn’t lack of trust, it was misplaced trust. I seem to think that what Ido will be a determining factor and, in so doing, I discount the work of the God who loves me and my son and knows what’s best for both of us. It’s God I need to trust—not myself. The Four Loves by C.S. Lewis has a lot to say that relates to mother love. Lewis identifies two types of love: Need love (love that we need) and Gift love (love that gives). As moms, our love is a gift love but it is also a love that needs to give; we moms need to be needed. Our sons do need us less as they grow, but there are still several practical ways we can stay close as they stand on their own. Handle it lightly. Having trouble with the fact he’s growing up? Give in to the humor of the situation—but laugh at yourself, not him. Send him a picture of your lunchtime sandwich cut with his favorite bear cookie cutter, just like his used to be. Let him know that, even though he’s away at summer camp, you check your watch at what used to be his naptime and wonder if he’s getting enough rest. Text him that you spent a few minutes in his empty room this morning praying for him as he starts college. Be supportive—say yes and “you’re right” as much as possible. This works all along the way, even if you have toddlers. If we want them to grow to be independent, self-reliant people, we do have to let them branch out a bit. “No” is so easy to say, and it tends to be our default. But give in to the yeses a little more every day. Let them learn from trying. And when they’re right, don’t just nod your head; tell them. Build them up; support them. Don’t want to be superfluous? I don’t think any mom does. So how do we stay close and needed but still let them grow? We shift our gifts. Yes, we need to give and be needed, but in different ways. Instead of fixing his lunch for him, team up. Show him how to pack his own lunchbox, or ask him to cook dinner with you once a week. Or turn things around! Instead of trying to solve his problems, let him help you with that app or get his advice about something. Don’t relinquish your role as parent, but realize that it’s changing. Yes, you’ll still have to remind of rules and enforce boundaries, but strive to remember you’re dealing with a son who’s older than he was a year ago. Enjoy his independence. Ask God to show you the positives in this new stage. 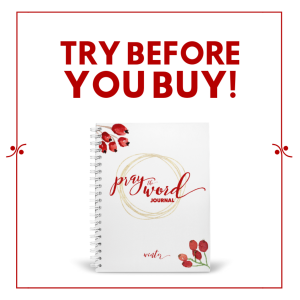 Make a list, and look for new ways to share your gifts with family or in ministry. 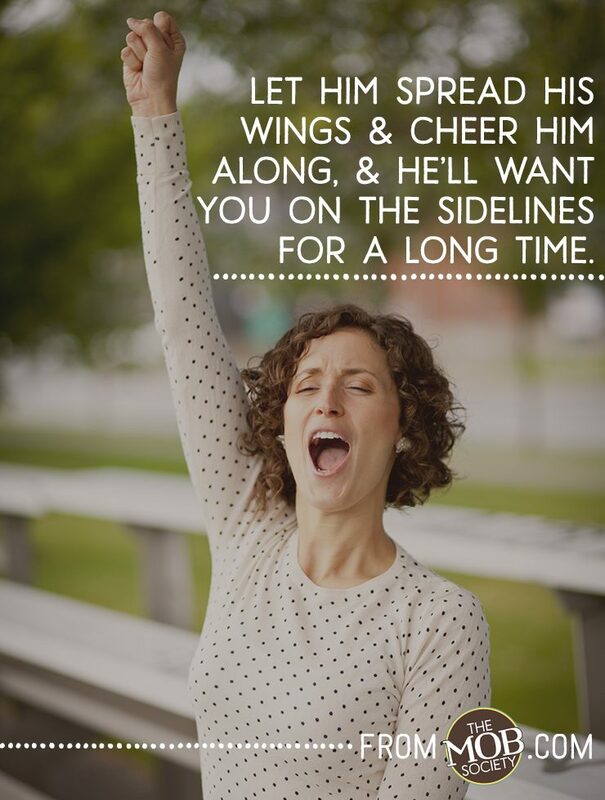 If you give him a chance to spread his wings and cheer him along, he’ll want you on the sidelines for a long time. Why This Pain of Letting My Children Grow Up? A blog post from a Christian mom. Some words just for moms of teens. Laura Lee Groves is the mother of four sons and the author of I’m Outnumbered! One Mom’s Lessons in the Lively Art of Raising Boys, in addition to Pearl, a novel about international adoption. …connect with her on Facebook and on Twitter. 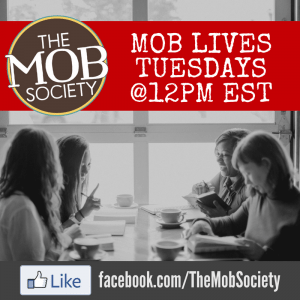 Practical, Spiritual, and Hysterical Wisdom from Your Favorite BoyMom Experts! Want to Change Your Home, Mom? Laura, the post is great, but I especially love your intro. It’s the gradual letting go, but each milestone has its own pressure on our hearts.